Federal Reserve Chair Janet Yellen testifies on Capitol Hill in Washington, D.C., on June 22, 2016, before the House Financial Services Committee hearing on U.S. monetary policy. Fed Chair Janet Yellen said she's hopeful for economic growth, NBC News reported. "We are seeing a pickup in growth. There's been a sharp increase in consumer spending," Yellen told the House Financial Services Committee. "I'm very hopeful that we will see a pickup in growth. We will be watching for that as we assess the economy." 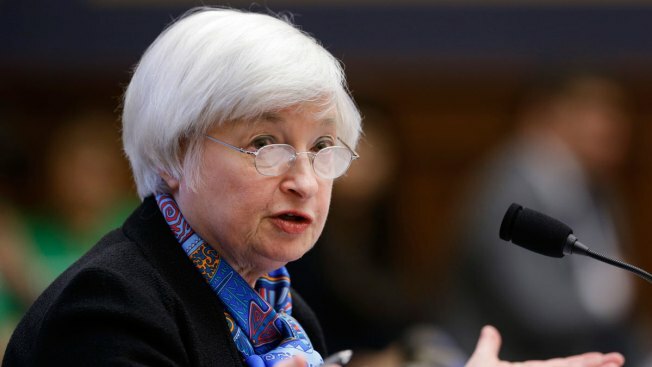 She also rejected the idea that monetary policy is tied to boosting Wall Street's equity values — in effect a "third pillar" to go along with the Fed's dual mandate of full employment and price stability. The Fed has kept its interest rate target close to zero, hiking just once in the last 10 years.